Radical Islamism calls for violent action to change the world order which, in their perception, is based on Western values that are anti-Islamic. The terrorist acts of radical Islamists are the most immediate and pressing national security concern for Europe. Radical Islamist organizations, and especially “The Islamic State” (known as ISIS), have managed to garner support among Muslims who were brought up in Europe after they or their parents moved there some decades ago and have gained the support of European converts to Islam. Their agitation system uses social media, religious activities in mosques and beyond, and missionaries in European prisons. Many of those who joined the jihadi ranks of ISIS in countries like Syria and Iraq are now heading back home to Europe. Thus, a similar pattern to the one that took place several decades ago, when the early Al-Qaeda jihadists returned from Afghanistan “importing” jihad to their home countries, is already noticeable. No less dangerous to European national security, although the danger they pose is less immediate, are the “Realistic Radical Islamists,” better known as the “Muslim Brotherhood.” Just like the “violent Extremists,” they are also committed to changing the world order as soon as possible and replacing it with an Islam-based order, as they interpret it. However, since they believe that Islam does not have enough strength at this point to force such a revolution, they consider the use of force in Europe as counterproductive for now and justify it only in the Middle East and especially against Zionists, rival pragmatic Muslims, or Westerners in cases where they see them as “occupiers” or “oppressors.” In Europe, they have developed a theory that calls for promoting change through proselytization [da’wah] and political activism, keeping their support of terror at a low profile. The Realistic Radical Islamist system in Europe is very large and, in many cases, seen by the authorities as the interlocutor for the local Muslim community. As such, it enjoys legitimacy and relatively broad freedom of action. The big wave of Muslim immigrants and asylum seekers that found refuge in Europe in recent years, and especially after the Iran Nuclear Deal was concluded in 2015, exacerbated the threat of Radical Islam for various reasons. First, it provided radical Islamists an opportunity to send operatives to Europe and to enable the return to Europe of some of the volunteers who came from Europe to help ISIS in the Middle East. Beyond that, it created a new reservoir of potential audiences for recruitment to both “realistic” and “violent” Islamist camps that may bolster the effort to replace the existing Western world order. The immigration wave reflected the concerns and despair of mostly pragmatic Muslims who realized that the West has surrendered to the Shiite and Sunni Radicals the hegemony and control of the Middle East, and therefore there is no room and no hope for them there. Another part of the immigrants is made of Realistic Radical Muslims who were also driven out from their original homes, especially in Syria. Upon their arrival to Europe, the immigrants are approached by a local Realistic Radical Islamist organization, sometimes with the acquiescence of the local state, and a considerable portion of them go through a process of integrating into radical structures. This is true of those who arrive as realistic radicals, but it also applies to some of the pragmatists, because they wish to preserve their Islamic culture and are not interested and are not welcome to integrate into the wider local society. This almost inevitable process leads more Muslims in Europe toward Radical Islam, with many adopting the Realistic attitude and a few going through the radicalization process all the way toward “violent extremism,” including readiness to carry out terror attacks on European soil. In parallel, the immigration to Europe of dissidents who seek refuge, including from Iran, brings to Europe Iranian state terrorism, as manifested in the several attempts by Iranian operatives to carry out terror attacks in Europe against Iranian opposition activists. Improving counter-terrorism systems, and especially the cooperation between intelligence organizations in vetting the immigrants and following their integration in their new country. Adopting a policy that clarifies why Westerners are proud of the world order they have developed and that they are ready to protect it, instead of being shy about it. Opposing all kinds of Radical Islamism in Europe (and in the Middle East) and promoting pragmatic forces within Islam by treating them as the interlocutors for local Islamic communities. Supporting efforts to limit the power and presence of Radical Islamists in the Middle East. After depriving ISIS of its Caliphate, it is necessary to take the necessary steps (isolation and sanctions) to weaken Iran and force it to give up its imperialistic ambitions. Much more investment is necessary in those countries from which Muslim immigration stems because of economic reasons. 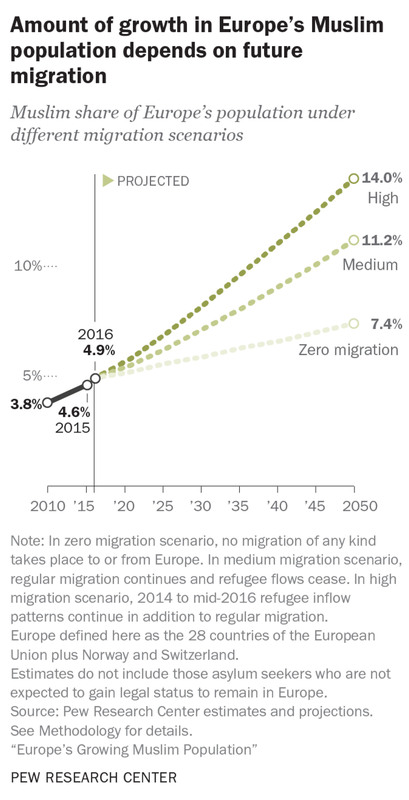 Success in the two last endeavors may convince many of the immigrants to return to their home countries. The adoption of the Joint Comprehensive Plan of Action (JCPOA, better known as the Iran Nuclear Deal), in the July 2015, signaled a major achievement of the radical camp, led by Iran, in the battle over the fate of the Middle East, and especially Syria, waged against the pragmatists led by Saudi Arabia. By legitimizing Iranian nuclear ambitions, Barack Obama sought to strengthen Tehran to secure a “cold peace” between the Iranians and the Saudis, in the hope that their proxy wars in Yemen, Syria, and Iraq would finally end. In other words, Obama wanted the two regimes to “share” the Middle East.1 However, it is increasingly apparent that Obama did not foresee the potential ramifications this move would have, not only within the region but also throughout the entirety of Europe. The clear path toward a nuclear weapons arsenal and inevitable regional supremacy that was given to Iran made the pragmatic Sunni Arabs in the Middle East, and especially in Syria, realize that the region was bound to succumb to Iranian ambitions and Sunni ultra-extremism exemplified by ISIS. The pragmatists and some of the Realistic Radical Sunnis, especially those in Syria who were already suffering at the hands of the brutal Assad regime or had already moved to neighboring countries such as Turkey and Lebanon, read the writing on the wall. They lost hope that they would ever be able to return to their hometowns and villages and live there the way they wanted, and therefore they decided to migrate to Europe for the sake of starting a better life. This is one of the major sources of the wave of refugees that flooded Europe in 2015 and kept flowing since, and this is the component of the Muslim immigration that is beyond the usual immigration trend motivated by economic considerations. Once they reached Europe, the pragmatists split into those who remained committed to living as Muslims peacefully in Europe, and those who lost hope of being able to do so. The latter group, disgruntled by their lack of success and in dire need of vindication, searched for a body that could represent them socially and politically. Often, they found such a political and religious home in local organizations belonging to the Realistic Radical school of thought – mainly those affiliated with the Muslim Brotherhood. Many of these organizations were formed by previous Muslim immigrants to Europe and dominate the Muslim political scene, having been successful in their great efforts to position themselves as the interlocutors on behalf of the Muslim communities with the local governments. Some of these individuals go further and end up joining radical elements at the fringes of the Muslim community, such as the Salafi Jihadists. The process of internationalization of the Muslim Brotherhood has been covered in depth by the Jerusalem Center.2 The Muslim Brotherhood was founded in Egypt in 1928 by Hasan al-Banna for the purpose of reuniting the Muslim nation [ummah] following the fall of the Ottoman Empire in World War I. Since then, the Brotherhood has evolved into a colossal transnational, Pan-Islamic ideological network – known as the Global Muslim Brotherhood (GMB) – which is allegedly active in more than 80 countries worldwide. Muslim Brotherhood affiliates emphasize the need for grassroots work via coordinated and guided “civil society” groups in fields like education, welfare, medical services, and religious institutions, known as the da’wah (proselytization) system. To simplify the Brotherhood’s ideology, consider the following metaphor: In the book “The Hitchhiker’s Guide to the Galaxy,” it is discovered via a planet-sized supercomputer that the meaning of life is the number 42. One way to interpret this is that life is meaningless. In other words, there is a crisis of meaning in the West. The Brotherhood and its leaders, such as Qutb and Qaradawi, recognized this crisis and sought to use it to their advantage by offering the Westerners the only meaningful way possible for salvation – Islam. Despite its non-violent messages and desire “to save” the West, many contemporary GMB leaders support violence in cases of conflict or the war on terror where they perceive Muslims to be under “colonialist” occupation and entitled to wage legitimate Resistance [muqawamah], such as the Palestinian-Israeli conflict, or in Iraq or Africa. The most central figures in the GMB and Hamas have also joined forces with leading Salafi and Salafi-jihadi figures as founding members of the Global Anti-Aggression Campaign (GAAC), an international, anti-Western umbrella that was mainly active between 2003 and 2016. At least seven leading GAAC figures and/or their organizations have been designated as terrorists by the United States, the European Union, and/or the United Nations for their support of Al-Qaeda and related groups.9 Such cooperation continues and can be seen when looking at the participants in various conferences held in Turkey, especially around Israel-related issues. Qaradawi, himself a founding member of the GAAC, has called for violence toward the Zionists in Israel, as well as American soldiers in Iraq.10 Moreover, GMB structures are intimately linked to Hamas, the genocidal terrorist organization that rules the Gaza Strip. Hamas itself is an offshoot of the Muslim Brotherhood, and its charter states unequivocally that, “The Islamic Resistance Movement is one of the wings of Muslim Brotherhood in Palestine.”11 This background explains Hamas’ move in late April 2017 to publish its “Document of General Principles and Policies” as well as Hamas’ current status in GMB structures. Although the Muslim Brotherhood projects an ostensibly peaceful image, hints of violent undertones frequently surface. This is a problem for Europe. 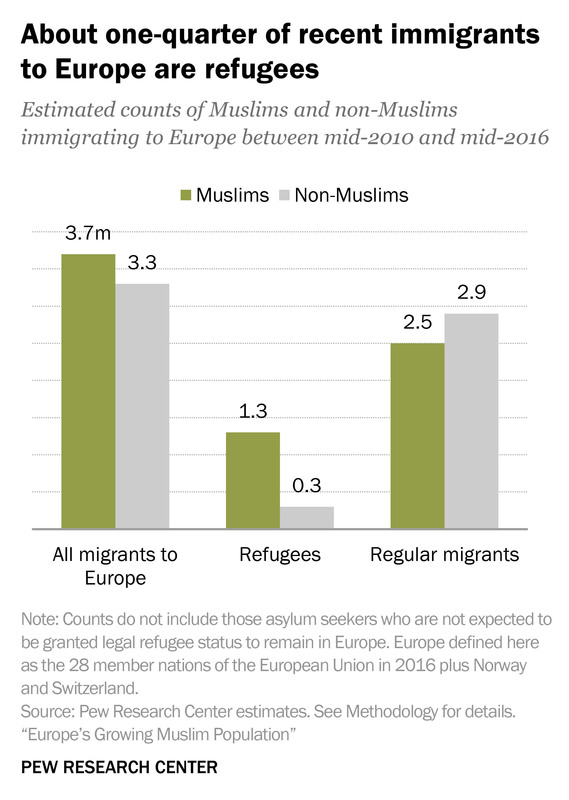 The influx of millions of refugees and asylum seekers into Europe in recent years changed the demographic makeup of the continent, and since most of the Muslims, including the new immigrants, live in and around the major cities, their presence is a noticeable issue. The prevalence of realistic radicalism in European Muslim Brotherhood-affiliated groups means that millions of Muslim migrants are now exposed to radicals in sheep’s clothing. The migrants may not notice the extremism of realistic radicals like the Brotherhood due to them not outwardly preaching violence, but their ideology will serve as a springboard that can lead some of the migrants toward more violent groups. Just how deep are the roots of the Brotherhood in Europe? At the same time, it is important to realize that the number of GMB activists is rather small, and they usually operate in many of these organizations simultaneously and move between them. According to the World Almanac of Islamism, Muslim Brotherhood affiliates maintain a serious presence in Spain, largely in the regions of Andalusia, Valencia, and Madrid.34 In late 2017, the Arab Weekly reported a recent upsurge in Muslim Brotherhood activity in the Catalonian region in the form of organizing forums, building schools, and providing social services, in a bid to increase its legitimacy.35 FIOE is represented in Spain by the Liga Islamica Por El Dialogo Y Convivencia (Islamic League for Dialogue and Coexistence.) In 2009, an independent, self-regulatory imam-training organization was formed, which has ties to the Global Muslim Brotherhood.36 In 2018, Alaa Mohamed Said, an imam in Logroño and member of the Muslim Brotherhood, was deported to Egypt for being a “national security threat.”37 Some leaders of the Unión de Comunidades Islámicas de España (Union of Islamic Communities of Spain) maintain ties with the Syrian Muslim Brotherhood. Among these leaders was Imam Abdelbaki Es Satty, who is believed to have radicalized members of his community of Ripoll and masterminded the 2017 Barcelona attacks, which killed 13 people and injured 130.38 Es Satty died during the attack when explosives he had stockpiled in his apartment blew up. Radical Islamist terrorism in Europe is not a new phenomenon. Europe has been the stage for some of the most horrible terror attacks by Muslim radicals, at the beginning primarily against Israeli targets, and later against Western targets (such as the 2004 Madrid Train Bombings and the 7/7 attack in London in 2005). Until recently, the attacks against the West were carried out to a large extent by homegrown radical Muslims who were educated in Europe, causing much frustration in European society. These radical Muslims continue to be the backbone of Islamic ultra-radicalism in Europe. However, the evidence suggests that the migration wave that began in 2014 increased the threat of Islamic extremism in Europe. Since 2014, almost 1,000 people have been injured or killed in terrorist attacks perpetrated by asylum seekers or refugees, and 16 percent of Islamist plots in Europe featured asylum seekers or refugees. These attacks occur most often within three years of arrival into Europe, and the plurality of terrorists hailed from Syria.61 In addition, as many as 5,000 Europeans went to fight in Syria and Iraq, with 30 percent of them returning to Europe62 where they can move freely from country to country thanks to the Schengen Agreement. Europe faces a significant problem. 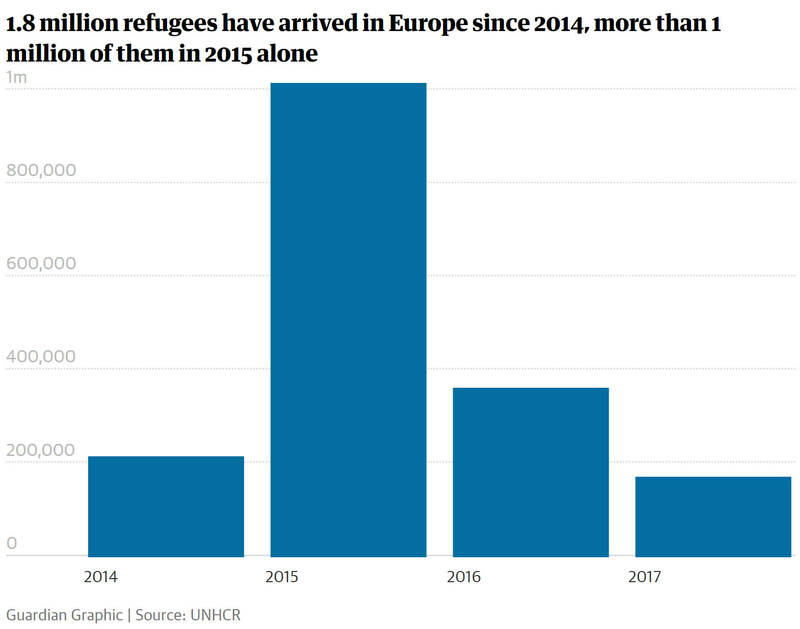 On the one hand, it is commendably taking in large numbers of asylum seekers for the sake of human rights, so many that the demographics of Europe are shifting. On the other hand, while the majority of these asylum seekers are simply looking for a better life in Europe free from persecution and radical extremism, a small minority of them are sent to Europe for the sole purpose of radicalizing the local Muslim population and committing terror attacks against the West. Moreover, while the Muslim Brotherhood presents an image of a moderate Islamic movement that conducts charity work and community outreach, in reality, it is a movement run by realistic radicals who are committed to changing the world order as soon as possible and forming a worldwide Caliphate. The Brotherhood does not oppose terror in certain situations as a tool for achieving this goal; it provides deep-seeded support for Hamas; and it expresses anti-Semitic rhetoric. They pose a real security threat to Europe. They radicalize native European Muslims, whose numbers are growing rapidly, and they radicalize some of the moderate pragmatists who fled to Europe to escape radicalism, only to find themselves arriving into a society where radicalism already exists. European countries, therefore, must acclimate these refugees efficiently enough, so they are not attracted to the da’wah structures, which offer them financial and welfare assistance. The European governments should also perform proper due diligence as to whom they choose to partner. 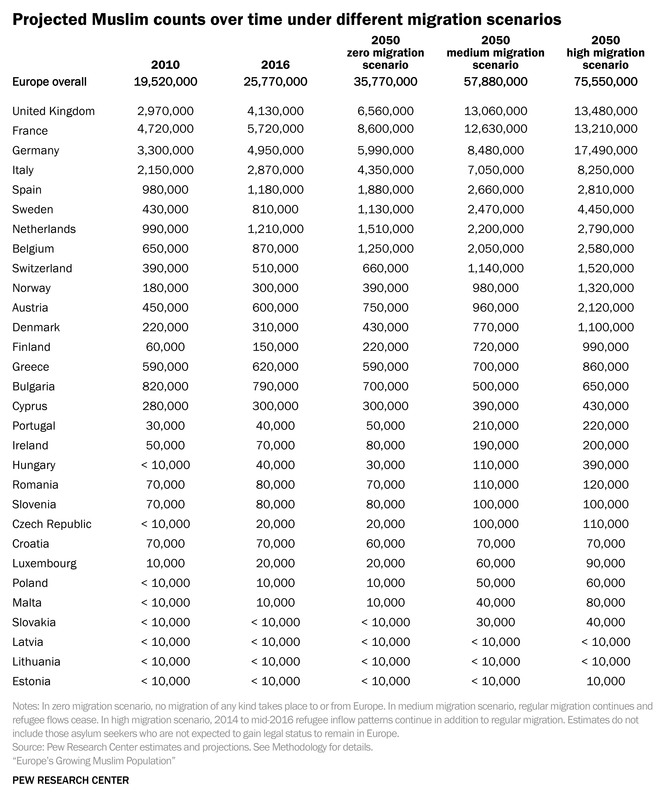 Lastly, consider the results of 1 million refugees entering Europe. Now consider what would happen if highly populated countries like Egypt were to fall, and tens of millions of refugees would flock to Europe. The consequences would be disastrous. This radicalism needs to be confronted, and its roots must be pulled from the ground before it entangles anyone else. Goldberg, Jeffrey. “The Obama Doctrine.” The Atlantic 317, no. 3 (2016): 70-90. Eikmeier, Dale C. Qutbism: an ideology of Islamic-Fascism. ARMY WAR COLL CARLISLE BARRACKS PA, 2007. Rosen, “Mapping the Organizational Sources,” 2011. Fishman, Shammai. Fiqh al-Aqalliyyat: a legal theory for Muslim minorities. Hudson Institute, 2006. Jenkins, John, and Charles Farr. “Muslim Brotherhood Review: Main Findings.” London: Prime Minister’s Office, Cabinet Office, Foreign & Commonwealth Office and Home Office. Accessed January 27 (2015): 2016. Merley, Steve. “The Federation of Islamic Organizations in Europe.” Nefa Foundation, 2008.